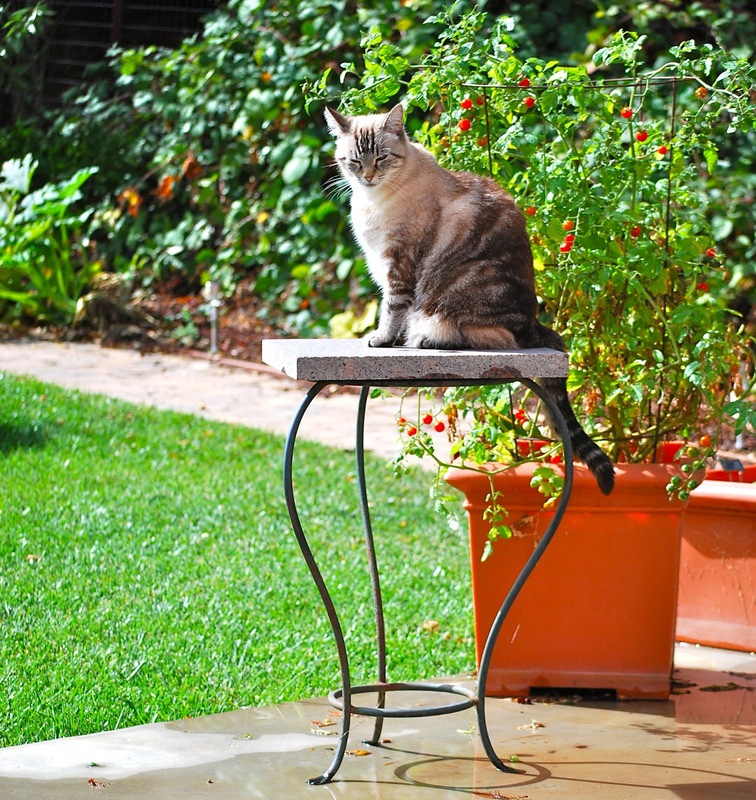 My garden supervisor is out inspecting the yard after the biggest mid-October rain storm in forty years. The storm has passed, leaving behind over 4 inches of rain in a 24 hour period. There were also 40-90 mile an hour winds. Needless to say, there was some flooding, downed trees, and loss of power in the Bay Area, but we didn’t experience any problems. 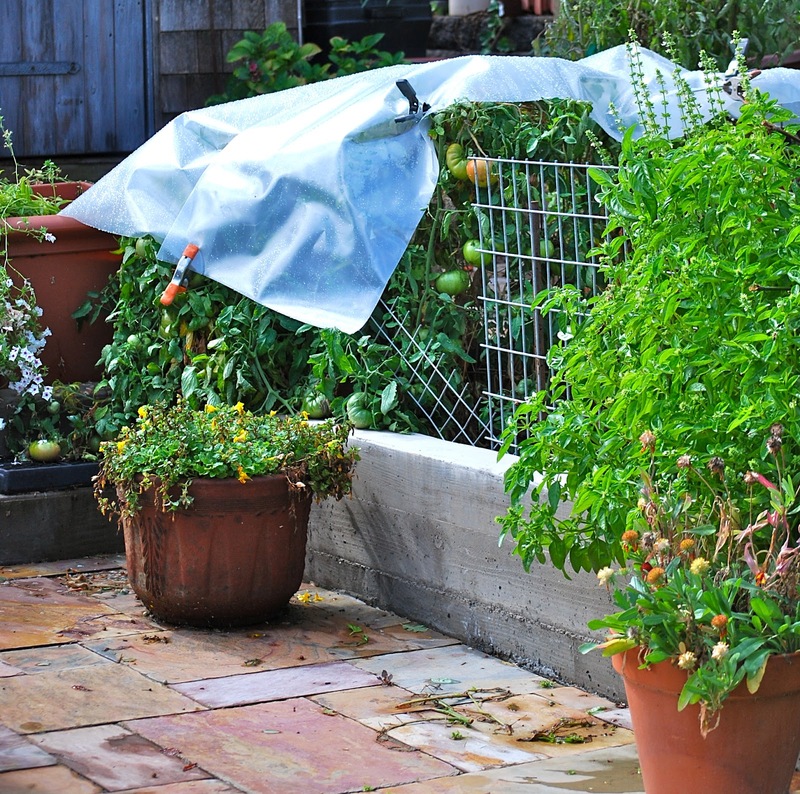 We’d put away all of the summer yard furniture and covered the tomatoes with plastic sheeting, hoping to prevent them from splitting. Now that the rain has stopped and the sun is out, all of the creatures that live around my house have come out to inspect things for themselves. This is a friend of my Garden Supervisor, he came over to make sure she was OK. These two were back behind my house, eating acorns that had dropped from the big oak tree. All during the time I was taking pictures of the deer, this squirrel was throwing acorns down from the top of the tree, they sounded like little bombs as they hit the metal trailer underneath it. Then there’s my nosy neighbor, Murphy. He always peaking through the fence to see what’s up. These are probably the last of the strawberries.